I have to admit, I'm really not a fan of Valentine's Day. Never have been, whether I was in a relationship or not. 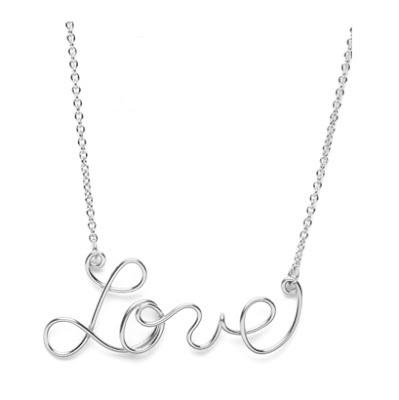 But I do love the idea of love, so the trend of script love pendants (like the Fabulous Wire Love Word Necklace, above) has really tugged at my heartstrings. Below, my favorites. I don't have enough silver jewelry. I love the haphazard way the word "love" is written here. 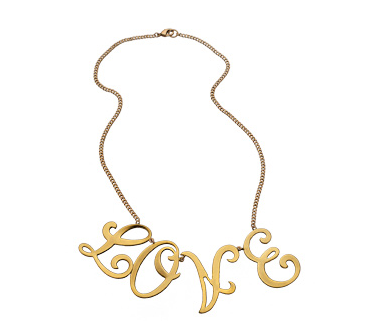 An angular silhouette wraps around the chain and makes such a sculptural statement. 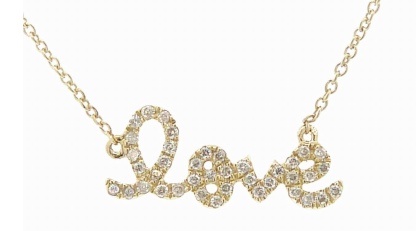 Well, if I had a boyfriend, this is the necklace I'd want him to buy me. 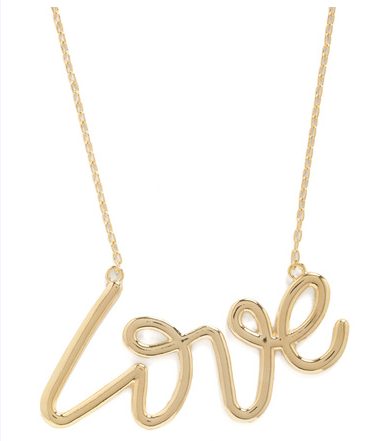 I always want to add a little flash to my outfits, and this oversized script version would be just the thing. I love the gleamy silver and the little curlicues at either end. The script capital letters have such a severe yet sweet feeling. 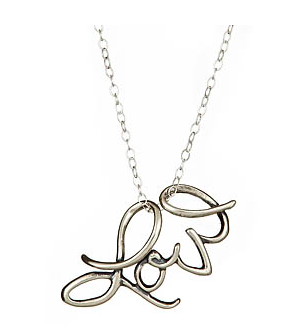 The tiniest script necklace I came across makes some of the biggest impact, proving great things come in small packages.